Systematic fault-finding of photovoltaic systems has been the focus of our work for some time. 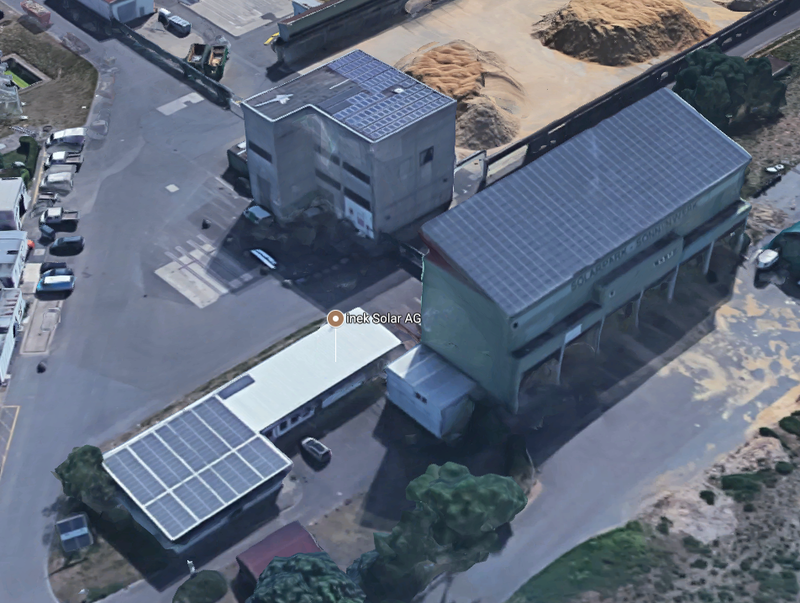 Having given seminars on this subject for several years at the Deutsche Gesellschaft für Sonnenenergie (DGS), we are now pleased to offer two seminars nearer to home at the Sonnenwerk in Bischofsheim near Rüsselsheim. Companies can also book a seminar exclusively for the further education of a group of their staff. We called the seminars pvTraining. A seminar in English is currently in preparation. We have decided to divide our seminars into two parts in order to cater more effectively for the needs of participants with different levels of knowledge. The first seminar therefore covers the basics. It deals with topics that can also be understood by participants without very much experience of photovoltaics and who still lack some basic knowledge. We focus here on providing the information you need to fault-find a solar power system, how to obtain this information if it is not readily available, and how to simplify subsequent troubleshooting and maintenance of a PV system while it is still at the planning stage. In this introductory section, we show lots of photos of faulty systems, discuss why the faults occurred, and how they can be avoided or at least minimised. We also discuss the different solar module designs in detail and why it is important to have an understanding of cell and module architecture if you want to troubleshoot faults. After a break, we move on to the kinds of professional topics that are of concern to participants with many years of industry experience. In part two, we take a close look at a number of specialist products: pvScreen (metaportal), pvTector (for locating open circuits in solar module strings), pvServe (reverse current power supply), and the pvVision cameras. But don’t worry – this is not a sales presentation. Anyone who knows us also knows that the technology is what matters to us, and not sales. As the title suggests, we are interested in systematically locating faults in photovoltaic systems and these software applications or measurement tools are simply a means to an end: they demonstrate our systematic approach to evaluating solar power systems. We will only recommend those measurement tools that you really need. Experience has shown us that a simple multimeter and some technical expertise are often all it takes. While we don’t claim to have all the answers, the seminar explains our current thinking on this important topic. Our aim is to provide the basis for an exchange of ideas and discussion with the participants. The Metaportal pvScreen, to take one example, is used to systematically describe and create a virtual map of a complete system along with all of its possible variants. We again explain the term metaportal in some detail and list the reasons why the concept has proven so useful for professional monitoring. The portal also administers service calls and keeps a record of system performance. Participants can see the software in operation and are invited to try it out at the end of the seminar. We discuss the subject of thermography, with a general introduction followed by a more detailed look at weather-independent reverse current thermography. Before moving on to outdoor electroluminescence, we discuss the relatively new dark I-V curve measurements. Here, we demonstrate how to use this new technique for pre-testing and explain why it can significantly reduce the time needed to test large arrays. During the discussion of outdoor electroluminescence, we show a large number of photographs of typical error screens and provide advice on how to interpret them. Rounding off the seminar is a workshop in which participants can gain hands-on experience of outdoor electroluminescence and measuring dark I-V curves. Anyone who still has not had enough is welcome to join us in the ErneuerBar in the Sonnenwerk in Bischofsheim, the venue for the seminar. Here, in a relaxed “after-work” atmosphere, you can enjoy a cold beer, have a chat and ask any questions you may still have. Seminars are held twice a year when we reach our minimum participation requirement of eight people. The maximum number of participants is 20. Registration is via mh@pvbuero.de or 06142-953047-7. For information on prices, please contact Mr Henning directly. The seminars can also be booked by companies for their exclusive use. Would you record these seminars then offer the video for download?